The tiny Hashemite Kingdom of Jordan is surrounded by troubled lands: Syria, Israel, Saudi Arabia and Iraq. The Sea of Galilee nestles at its northern tip. The port city of Aqaba sits on its southern on the Gulf of Aqaba, the right northern prong of the Red Sea. 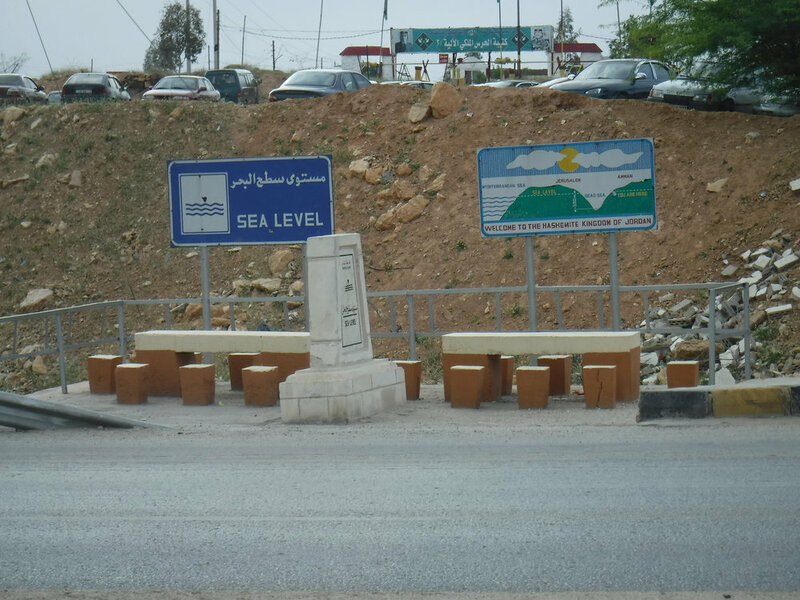 You can drive from there north to the capital of Amman in two and a half hours up the King’s Highway. But between Aqaba north to the capital of Amman, a wealth of human history, religion and mystery can all be explored. Having already dipped body parts in the Mediterranean on previous expeditions, I planned to complete the cycle by doing the same in the Dead and Red Seas. Petra Silk Corinthian and Palace Tombs. We had a lot of territory to cover in just six days. The first day was driving to the ancient Roman city of Jerash, traveling through a lush valley, the road lined on both sides with eucalyptus trees, greenhouses and plant nurseries. After we explored the forum, the temples of Zeus and Artemis, and the street between the North and South Gates, we had lunch and then back down to Amman to view the city from its Citadel, spread out over seven hills like Rome, and then the Odeon (Theatre) that once sat 6,000 and still hosts public parties on weekend evenings. Day Two, our bathing suits under our clothes but forbidden any sun-block or lotions on our skins, we drove to Madaba, famous for its Greek Orthodox Church of St. George to view its 6th Century map of the Holy Land, created entirely in small coloured ceramic tiles. Originally part of the floor one-quarter remains now. At a family-run market we were treated to homemade baklava and cookies, then onto the Mosaic Visitor Centre for a demonstration of tile craft. The showroom featured everything from furniture, to pottery to jewelry, glorious in colours and all made by hand. Then a short drive up Mt. Nebo, while far below the Jordan River flowed, to the Memorial of Moses on its peak (known as Siyagha). The place where Moses led the Jews to and from Jerusalem and then went up and received the Ten Commandments, is still an important pilgrimage site where stands the Memorial Church of Moses and Interpretation Centre, run by the Franciscan Friars and supported in part by the Canadian Fund. The church interior is world famous for its intact floor mosaics, designed by early Christian hands. We soon discovered that all the tales of people reading while floating on the Dead Sea waters are true. Once you are on your back it is a real effort to turn over, much less try to stand back up again. The salt content is so dense that nothing can live in it. Sadly as global warming proceeds it evaporates ever lower below sea level. Second Sea down- one to go. Red Sea Jellyfish coral reef Aqaba. Petra, home of the vanished Nabatean people, is a place of the bizarre and wondrous. The official map and brochure lists 13 Rules. These run the gamut from not reselling your entrance ticket to other tourists, not removing any rocks or pottery shards, reporting any cruelty to animals, what to do if you get lost (stay calm and make four loud noises), watching out for flash-floods, keeping away from the steep cliff edges, don’t climb on the Siq walls as they are being monitored for erosion, and a warning that you are in an earthquake-prone area. If you go to Jordan and do nothing else, Petra is a must if even for the spectacular rock formations, caves, buildings and colours. Sea Markere at the Dead Sea, now much lower. Aqaba and its famous sunsets were our last stop. Our Fun & Sun tour boat motored out to a nearby coral reef where we sat below decks watching the vibrantly-coloured fish flitting around them. 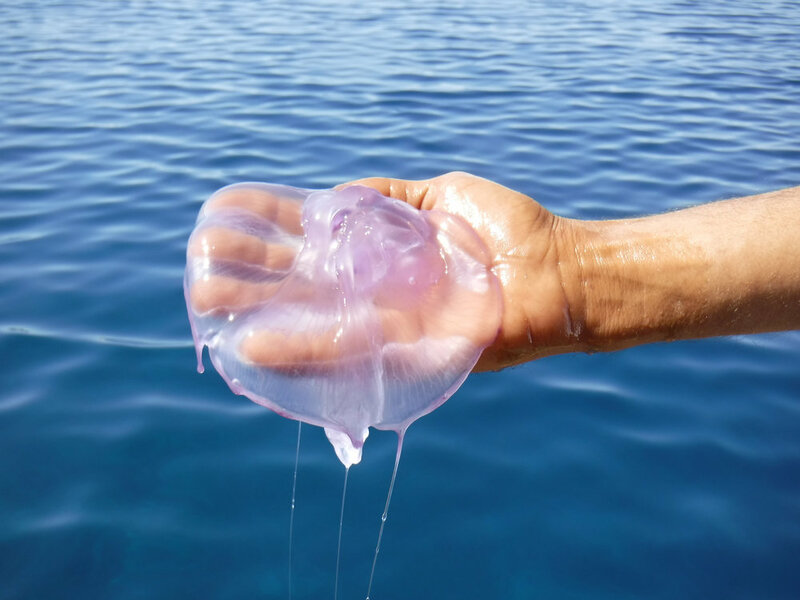 While some snorkelled, one of the crew brought up transparent jellyfish to feel, they seemed to melt like jelly in the bright sunshine. Sea #3 done! Meet the Kiwi widow of a Bedouin souvenir-seller in Petra, who raised three kids in a cave and still sells souvenirs in her shop below the Royal Tombs. Ride on the train featured in “Lawrence of Arabia” from the Wadi Rum train station. Picnic beneath massive crags protecting a spring where ancient caravans once stopped to rest, or stay at a Bedouin-run luxury tent camp. Thou shalt not miss this intriguing land.